Take the package of candy and pour into the plastic bag. Seal the bag. 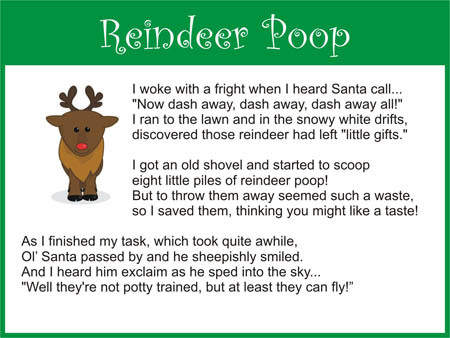 Print the reindeer poop poem and attach it to the bag with a piece of tape. That’s it! 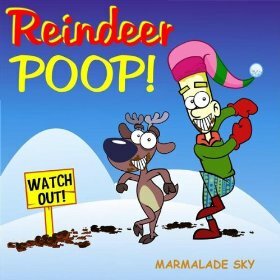 And there’s a song, too!